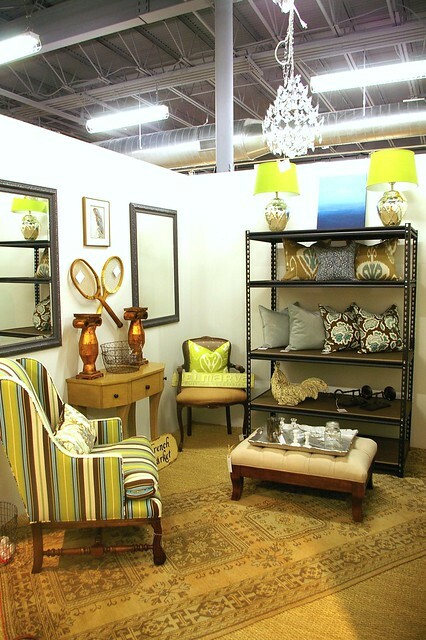 I didn't intend to take a little vacation from work and blogging, but the full house and the holiday (and the booth!) kept me busy. I'm sorry for the absence! I hung only red and pink baubles on the tree, mainly because that's what we had ;) But I like the monochromatic look during the day. 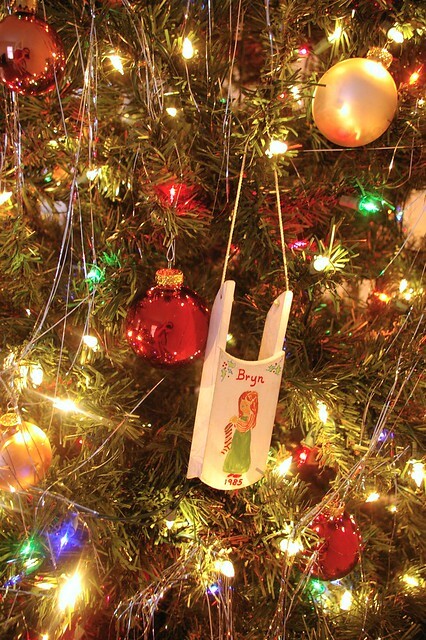 Along with the baubles, I put our meaningful ornaments on our tree. I have ornaments from when I was a baby all the way up to recent years. My grandmother always gave us kids an ornament each year, and I continued the tradition when Matt and I started dating. 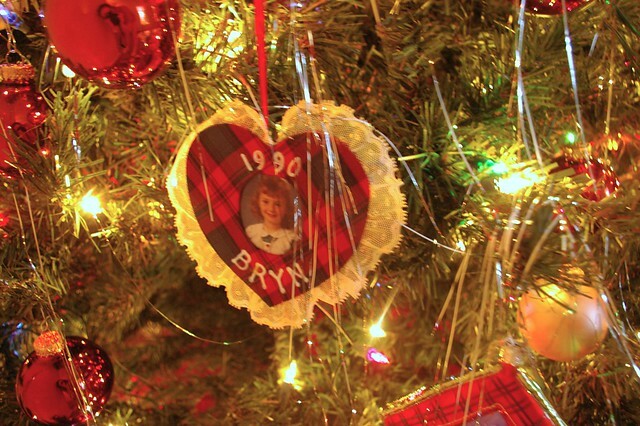 I these special memories are what makes our Christmas tree. 1985 - I was one year old. 1990 - I was six, and I L-O-V-E-D that dress. I remember crying and crying because I didn't want to take it off to take a bath. The only other decorating I've done so far is our entry table. The wreath was given to us by my grandmother this year. It's from William Sonoma and is made out of bay leaves.. it slowly dies and then you can use the bay leaves in your cooking! The feather trees I got through the shop I work at. See the little red tray? That's a sneak peak at one of the items in the December giveaway!! And that's my Christmas decorating thus far.. maybe I'll add some more soon! It's definitely a work in progress but so far has been so fun. I've mastered the art of an invisible zipper and have been sewing pillows like crazy. 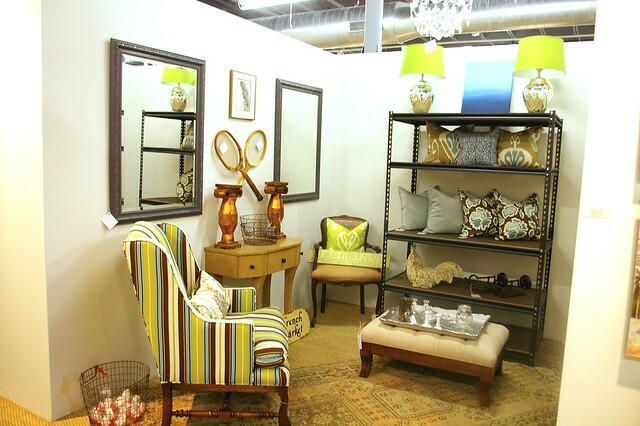 We eventually want that entire shelf FULL of awesome pillows. If you are in Charlotte, be sure to stop by! The booth looks great, and so does all of your christmas decorating! the day after tree decoration is my favorite part of thanksgiving. puts me in such a happy, winter mood! It all looks so beautiful. Love your booth too. I dream of having one one day. The booth looks great. 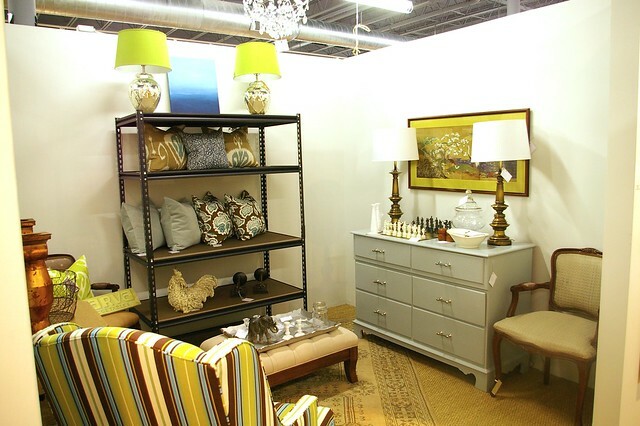 Great pieces with a fresh color palette! I hope I get to stop by! 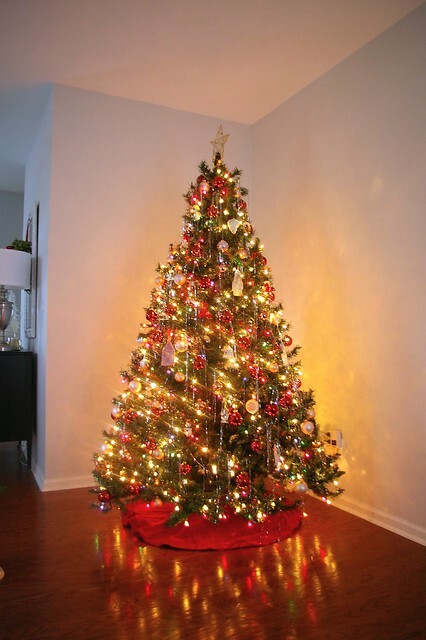 I love your tree! I love when people have sentimental ornaments. 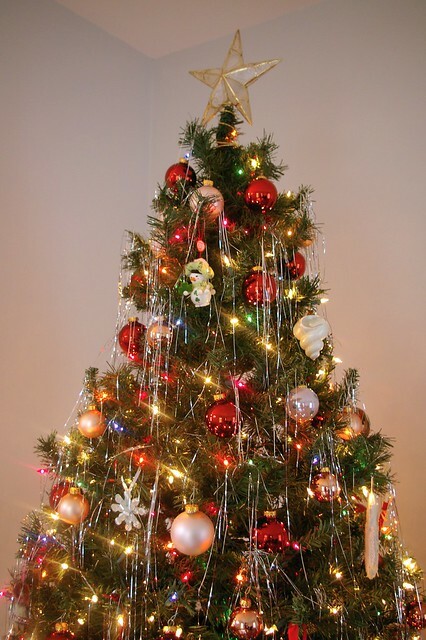 We do the same and our tree might not be the most fashionable but it's fabulous! I think your tree is beautiful. I always see wreaths over mirrors with the ribbon like yours but I can't figure out how to hang it. Where do you put the hook? 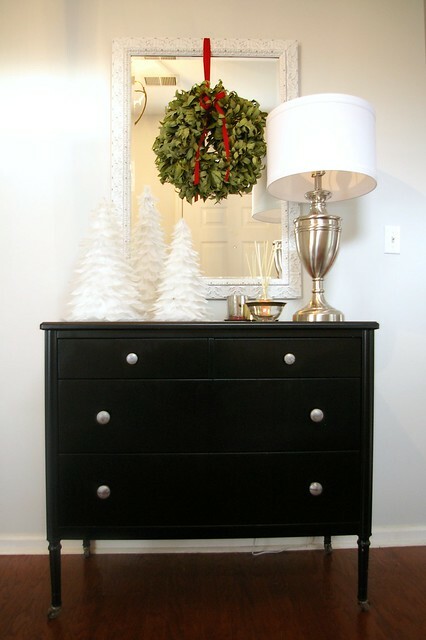 I love your front entryway holiday decorating...what a neat idea for a wreath! And your booth is looking fantastic! Everything looks wonderful! I hope you sell out of your items and have to re-stock your booth sooner than expected! That entryway is just stunning. I love the white trees and the wreath is hotness. Do you know of any places that sell real looking but fake bay leaf wreaths? I love the look of them but my cats try to eat anything real but keep away from anything fake. Suggestions? Love everything!! Post a tutorial for invisible zipper mastery....I need one ASAP! In love with those feather trees! You need to put your pillows on ETSY! I would for sure buy them! Gorgeous! Lovely, lovely, lovely! Wish I could stop by your booth, but it's like a thousand or so miles away! Keep the pictures coming! Bryn, reading your blog is such a treat every day. Could you share how you learned to sew hidden zippers into throw pillows? Are there any books or good tutorials out there? I bought all this fabric intending to make throw pillows and can't find a reference I can understand on how to go about it. Maybe this is a really basic thing that everybody knows how to do, but I'm bewildered. Um, love the entry way setup...is there any way you could hunt me down some of those feather trees? They're lovely! oh I LOVE the entry table! Beautiful! And the pillows look adorable - I wish I was closer to NC! Love your booth and your tree Bryn!! I love what you did on your entry table. Looks great! 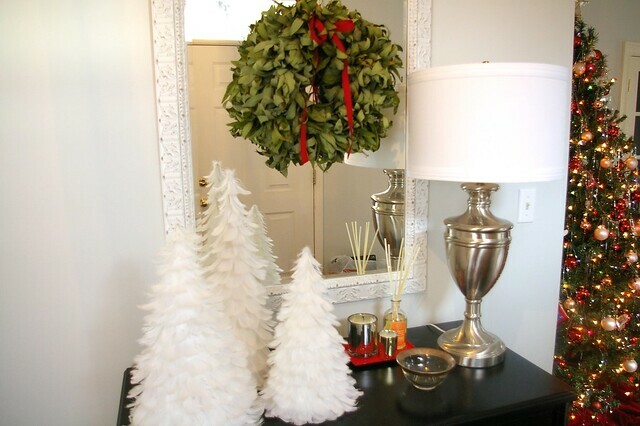 Love your entryway decor, that wreath is such a great idea! Your booth looks great too! your booth looks great. The green just pops!! !